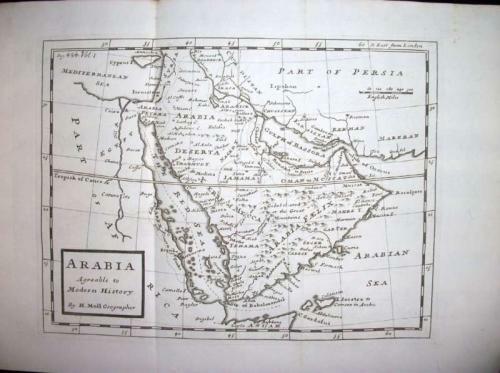 Title: 'Arabia Agreeable to Modern History' printed for the 1739 edition of Modern History By Thomas Salmon. An early 18 th century map of Arabia by Herman Moll. The condition is very good with only 2 vertical creases from being folded, ideal for framing.